Posted on May 31, 2016 . 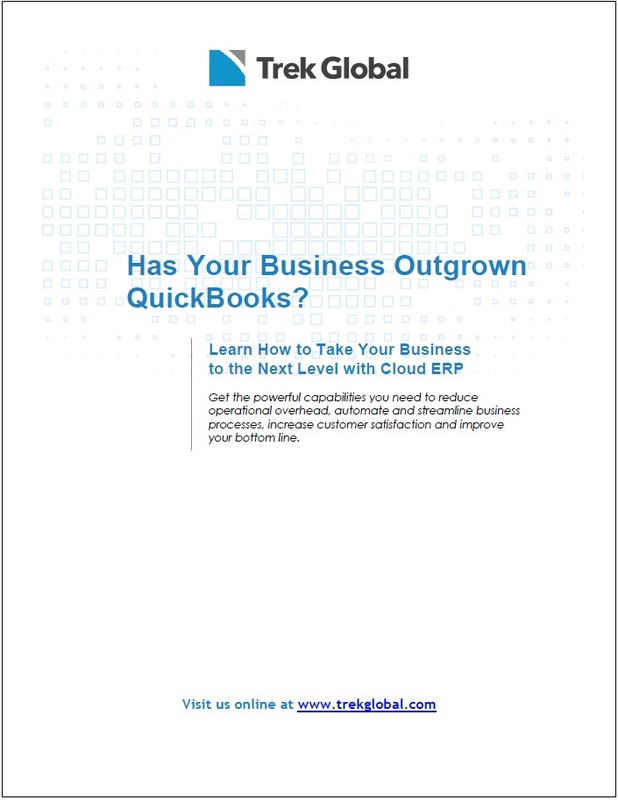 Has Your Business Outgrown QuickBooks? Learn How to Take Your Business to the Next Level with Cloud ERP! If your business has outgrown QuickBooks, you may feel that migrating to an Enterprise Resource Planning (ERP) system is an enormous step and you may be questioning your organization’s readiness. Our white paper highlights the important factors you should consider in this stage of your company’s development. We go over the common growing pains organizations experience when they are questioning whether it’s time to purchase an ERP. We also identify the priorities, system capabilities and benefits that will get you the most out of an ERP system. Finally, we explain how you can achieve the greatest return on investment from today’s modern cloud ERP software. If your business is experiencing growing pains and you’re questioning the timing of ERP, take advantage of our free white paper. Use the form below to download the white paper today and get started improving your business!